Prepared to check the ultimate affiliate marketing guide? Go for it, bro! How can Affiliates Monetize Traffic? Is this business something completely new and mind-blowing to you? Are you scared of how much info is just lying around in forums? Have you just started to explore the affiliate marketing world? Do you have tons of questions about how everything works? You managed to get to the right spot! This is the ultimate Affiliate Marketing Guide! In fact, this is the article that’s really gonna help you. 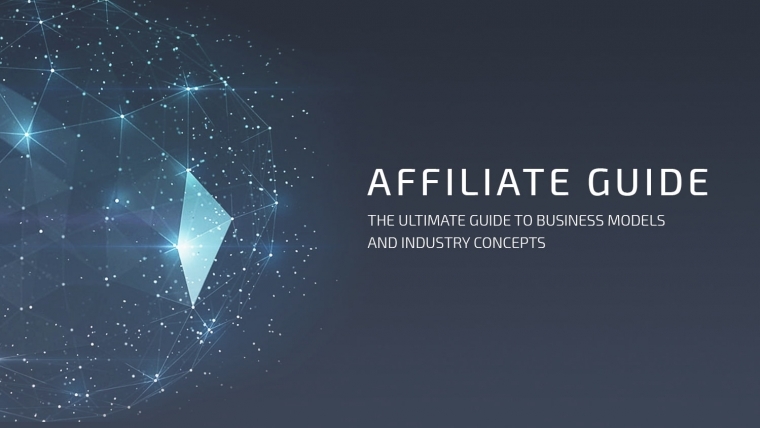 By reading it, you’ll become fully able to understand the general idea of the affiliate marketing ecosystem. I’ll let you know all about the main market concepts and players, allowing you to get a glimpse of what’s waiting around the corner! Still not sure about this whole thing? Thinking about a way to read an introductory post that saves you the balderdash and gives you the whole juice? After you read this article I bet you’re gonna be prepared to start your journey in affiliate marketing and explore some more great posts! Ready to jump to the concepts of the affiliate marketing world? One of the most important partners a media buyer has is an affiliate network. It’s basically an intermediary between publishers (affiliates) and advertisers (offer owners). On one hand, an affiliate network helps publishers find the best offers all over the world; on the other hand, it helps advertisers aggregate an immense amount of traffic and users from the variety of sources to their offer. Some affiliate networks work with renewals. This means they’ll pay affiliates when a user renews the subscribed service. However, most affiliate marketing networks work based on a pure CPA basis. This means they pay affiliates only when an acquisition is made. In case an offer fails to convert, the affiliate network won’t pay the affiliate. The amount paid is a percentage of the payout of the converted offer. In the affiliate marketing industry, an affiliate vertical is a group of offers divided by category. Mainstream consists of a number of sub-verticals. The biggest one of these are Games (e.g. Fruit Ninja, Magic Rush), Utilities (e.g. Opera Mini Browser, Turbo Cleaner etc. ), Sweepstakes (e.g. win money, win iPhone) and CryptoCurrency (e.g. Buy Coins). Adult can be divided into the VOD (Video on Demand) and the Adult Dating sub-verticals. VOD is actually the most important vertical in the market. An affiliate is a person who’s registered in an affiliate network or works with an affiliate program. They use its tools and send traffic to the advertiser’s offer. When users click the offer and perform an action (which may be a subscription, sale, install or even just a visit), the affiliate gets paid by the advertiser. Media Buyer, Webmaster, Social marketer, App Developer and Network. Yes, an affiliate marketing network can be an affiliate to another affiliate marketing network. Let’s understand what these affiliate types are all about, shall we? They only buy traffic on social networks. An affiliate doesn’t have their own traffic? They can buy and monetize it based on a CPA model. This is what media buying is all about! You should also read more about how to become a media buyer. If they buy it, they won’t do it on specific websites via ad networks, but on social networks such as Facebook or Twitter. An ad network is the intermediary between an advertiser (who’s an affiliate with an offer from an affiliate network) and a publisher (the owner of the traffic/webmaster). An ad network aggregates traffic from many sites, which advertisers buy to promote their offers. This is the second most important partner of any media buyer. The one that pays more has better or more traffic. After gathering relevant stats, they can exclude parameters that don’t work for their offer and adjust the bid. Don’t know any good ad networks yet? We’ve got the most in-depth, full-throttle, comprehensive analysis of the best adult ad networks for you! An ad exchange is another digital marketplace where publishers and advertisers can sell/buy traffic that’s coming from multiple ad networks. An ad exchange provides more traffic to advertisers than any single ad network can provide, giving them the option to optimize it all in one place. In an ad exchange, unlike in an ad network (where you buy impressions in bulk), each impression is auctioned and the highest bid wins the impression. This system increases the transparency of the pricing process, as you always know how much you’ll pay and what’s your position. A DSP or Demand Side Platform is the platform that aggregates traffic from the multiple ad exchanges and SSPs (Supply Side Platform), thus helping advertisers (in this case, the affiliates) find as much traffic as possible with the cheapest market price. DSP bids are based on the RTB (Real-Time Bidding) system on behalf of advertisers. RTB allows advertisers to buy traffic per impression through a real-time auction. The system gets info about the web page and the user while the ad spot is loading and sends its bid to the ad exchange. That’s where it’ll compete against bids being issued from other DSPs or bidding systems for that same impression. The ad will then be displayed on the web page of the advertiser with the highest bid. The system minimizes the number of wasted impressions, helping advertisers cut costs. An SSP or Supply Side Platform is the equivalent of a DSP, but on the publisher side. An SSP is a platform that helps webmasters automate and optimize the process of selling traffic by providing valuable statistics such as the number of visitors, time spent by visitors, and % of visitors returning to a specific website. Trackers are also really important in the affiliate marketing industry as they make the connection between affiliate networks, ad networks and ad exchanges. They allow you to gather all the information in one platform and to check all the parameters that you want to track. It’s easier to understand everything with a tracker. Because you don’t have to jump between platforms and, most of the times, they give more options in terms of optimization than the traffic source! CPA (cost-per-action) is the mobile pricing model where an advertiser pays for the subscription to their offer. The flow of the subscription can vary according to the country and operator policy. It can be single opt-in, double opt-in, or pin submit. It seems obvious that – the easier the flow – the higher the conversion rate. CPI (cost-per-install) is the model used to promote mobile apps, where an advertiser pays to the publisher when users install their app or perform an action. CPA and CPI are performance-based models. They’re used by affiliates of affiliate networks so as to earn money from the difference of buying traffic on a CPM/CPC basis and earning based on a CPA/CPI method. Apart from the CPA and the CPI model, there are other less popular models in the market. One of them is CPL or PPL which is the abbreviation of Cost per Lead. In this model, the advertiser pays as soon as the user provides their personal info in a form. CPL is a common model for Dating offers. Another pricing model is CPS (cost-per-sale) or PPS. Here, the advertiser pays when the user is charged by the service. The payout is normally higher and the conversion rate is generally lower compared to other models, due to the credit card billing used in this model. CPM (cost-per-mile) is the cost per 1000 impressions. You set the maximum you wanna pay per 1000 impressions of your ads. The biggest advantage is that you can play with your banners so as to get a better Click-Through Rate (CTR). By doing so, you get to decrease the costs compared to other models. Some ad networks have the option to bid based on the SmartCPM pricing model, which is even better than the common CPM. When using SmartCPM, you set the maximum bid you’re willing to pay, but the actual price you pay is a bit higher (the % depends on the ad network) than the bid of your next competitor, which makes you save money. In case there are no competitors in the segment, you’ll pay the minimum bid, regardless of your preset bid. CPC (Cost-per-Click) is the model where an advertiser pays for each click on their ad (usually a banner ad). You’re gonna be paying for each user that’ll see your landing page. CPV (cost-per-visit) is the model where an advertiser pays when the user visits the landing page of their offer. Asking yourself what is the difference between CPC and CPV? A percentage of users may click the banner, but then close it before the page is loaded. In this case, the user’s action counts as a click, but not as a visit. Notice that the potential for sweet profit is higher with the CPM model than with CPC. In order to create a profitable CPM campaign, you’ve gotta find high-performing creatives which are in tune with the offer and the source of traffic. You already know the main actors that are part of the media buying play! Now let’s sum it all up for you real tight. You sign up for an affiliate network and – after talking with your account manager – you pick a very good CPA offer for Argentina. Later, you sign up for any ad network and buy banner traffic in Argentina with a link to the offer. What happens is that users in Argentina visit the sites (the ones which you buy traffic from) from your ad network and see your offer. The users see your banner, and you pay. Your banner grasps the attention of some of them, so they click it and see the landing page of your offer (in the case of CPA). On the landing page, the user can see the offer, terms, and conditions. If they agree with everything they see, they’ll click the confirmation button and become subscribed (the flow may vary according to the country and operator). At this point, an advertiser of this offer pays you a fixed amount for the subscribed user and the money later appears on your affiliate network account. As this amount is large (when compared to the CPM, CPC or CPV) you earn money! This is the general idea of the business. This industry is all about pressure, stress, hard work, analysis, numbers, sheets, data, testing, testing, testing, and a lotta sleepless hours! Even so, this is the sort of addiction that impacts your life, allowing you to choose your own fate and make a whole lotta paper bills! I hope this affiliate marketing guide has helped you put the puzzle of the online affiliate marketing world together. I’m sure you’ve gotten a real taste for the business and are eager to go for it like a king! Feel like you need to learn even more about affiliate marketing? Go ahead and check Mobidea Academy’s list of affiliate marketing terms!